Is Pumpkin Beer The New Fall Tradition? Beer. Delicious. Pumpkins. Festive. 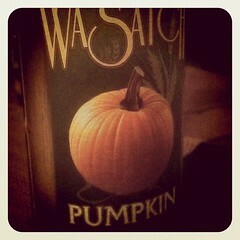 But do they have good synergy as my hoppy, happy adult beverage to signal and celebrate the cooler season that is Fall? In a word: yes. However, and luckily, we’ve not found our craft beer of choice as of yet. Read this to mean: more beers to sample in to the Fall Season! 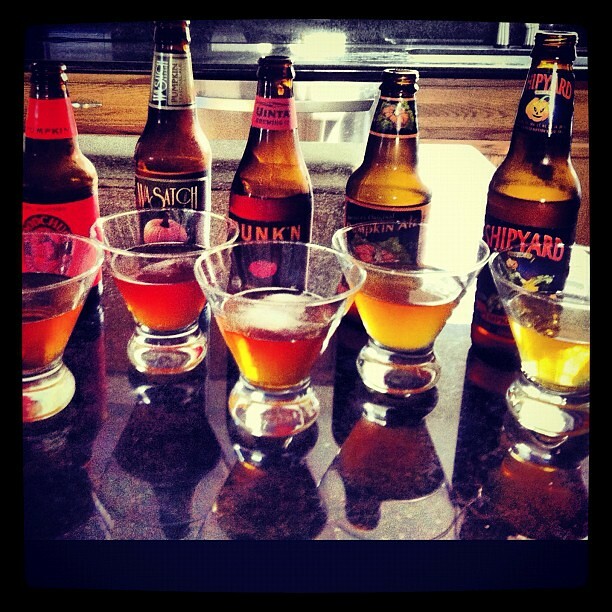 We tried several pumpkin beers and somehow a pumpkin hard cider got in the mix (oh, what a shame). Here’s what we (me and the hubbs) thought. I’d love to know what you think too — what’s your favorite pumpkin beer or pumpkin ale? 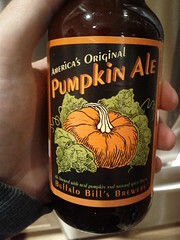 America’s Original Pumpkin Ale by o_sam_o on Flickr. A neato description, however, my taste buds were wanting a little more. 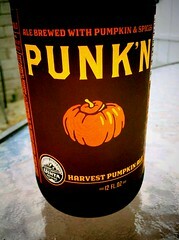 A great tasting beer but I could not taste the pumpkin. I love that Stingy Jack adorns the label of Shipyard’s Pumpkinhead Ale, his arm above his head as he charges over the banner. After circling through all the beers on hand and returning to this one we could appreciate the subtly of spices in this pale ale. However, the pumpkin taste I was looking for was not present. 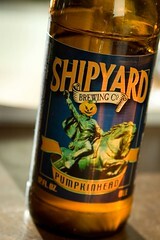 The Beer Advocate doesn’t give Shipyard Pumpkin Ale high marks. We agree with The Not So Professional Beer Blog description and rating of this beer or yummy in our tummys. Our words, not their’s. And, is it just me, but looking at this label I want to have the beer in one hand and with other load up the punk’n chuck’n machine. Wasatch! Fun to say but even better is what happens after you take a swig of this beer. Once the amber liquid hits your lips you will be reacquainted with the pumpkin flavor and spices that is so highly sought after in a coffee-chain-that-shall-not-be-named’s lattes. Only now this flavor can be enjoyed in your cerveza in time for the Fall Season/Halloween/Thanksgiving. Halloween is steeped in traditions. However, the Halloween that we Americans celebrate today has borrowed many traditions but we’ve made the holiday so mainstream that I’d argue that many of us don’t know why we do the things we do. From carving jack-o-lanterns, wearing costumes and giving away candies to trick-or-treaters. Or why we eat the foods we traditionally eat on Halloween. The majority of trick-or-treaters this year are not likely to find candy apples in their bag of sweets, however they were once extremely popular — in the 1960s and 1970s especially. Now candy apples can found in festivals, fairs, the circus and strip malls — but not in Halloween bags — as the media concerned many a parent that underneath it’s bright, hard-candy coating were pins or razor blades. Candy apples are not unique to Americans. In England, the apples are covered in toffee and named thusly — toffee apples. Usually eaten on November 5th in accordance with Bonfire Night or Guy Fawkes Night. 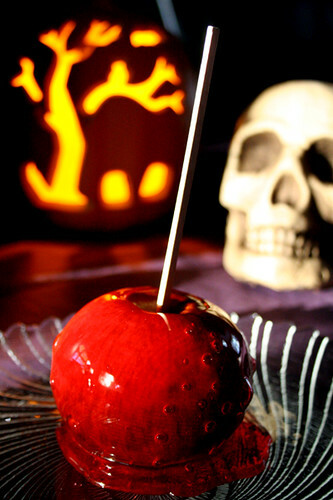 The Brazilians, Germans, French and Canadians also enjoy their apples coated in sugary goodness, but like the Irish and Scottish, Americans eat their candy apples around/on Halloween as apples are readily available at this time. Or bobbing for apples. Or dooking, as the Scottish say. Dunk your face in a basin of water and start splashing about to pull the apple out only using your mouth and teeth. That’s got to be a good look, right? 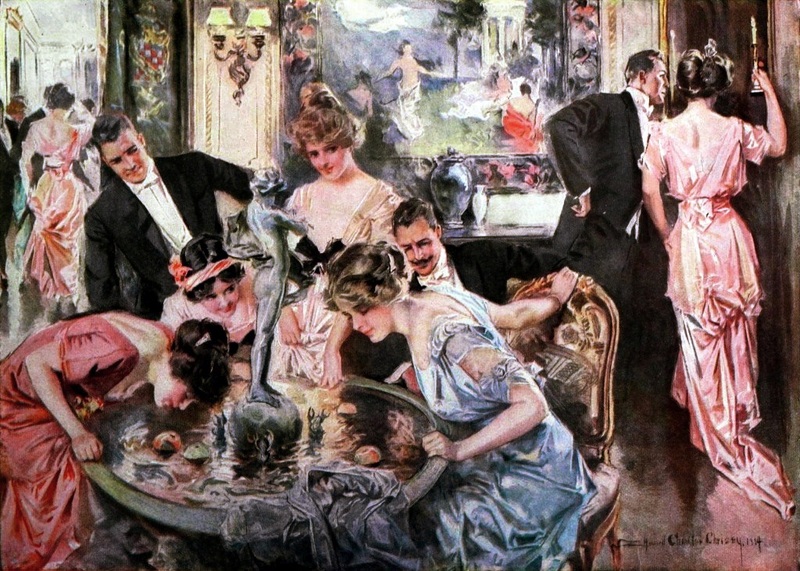 Well, there are various traditions pertaining apple bobbing that involved foretelling your fortune in the ways of love, provided you could fish out your apple. He or she who chokes on their apple (fun!) would be the first to marry. Girls who placed their bobbed apple under their pillow would dream of their future husband. After fishing for your apple, carve it in to one long strip, toss it over your shoulder and the letter you can make out would be the first letter of your future spouse’s name. Two completely safe and sanitary games that we should continue today. I’m in Lewis Black’s camp and detest the stuff. When it’s around I think I’ll enjoy the treat but after a handful, I realize, again, how much I dislike candy corn. 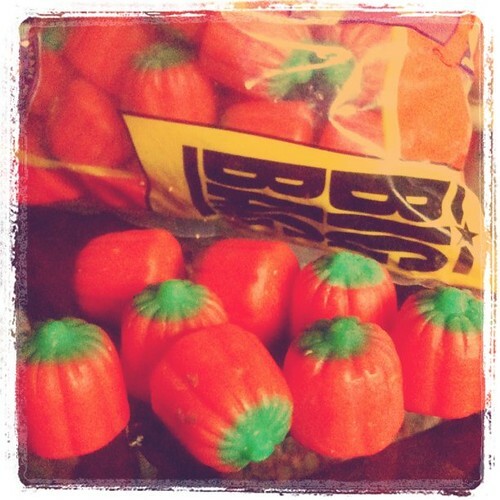 We can also thank Renninger for making candy pumpkins. Thanks. Made popular in the 1920s, the candy pumpkins underwent the same type of process as the candy corn with the slurry-making which is actually called “mellowcreme” by confectioners due to what they describe as that “mellow, creamy texture.” The mellowcreme slurry was divided up and given either an orange or a green color, then put in a mold to make the same type of candy as candy corn but put it in a pumpkin shape.